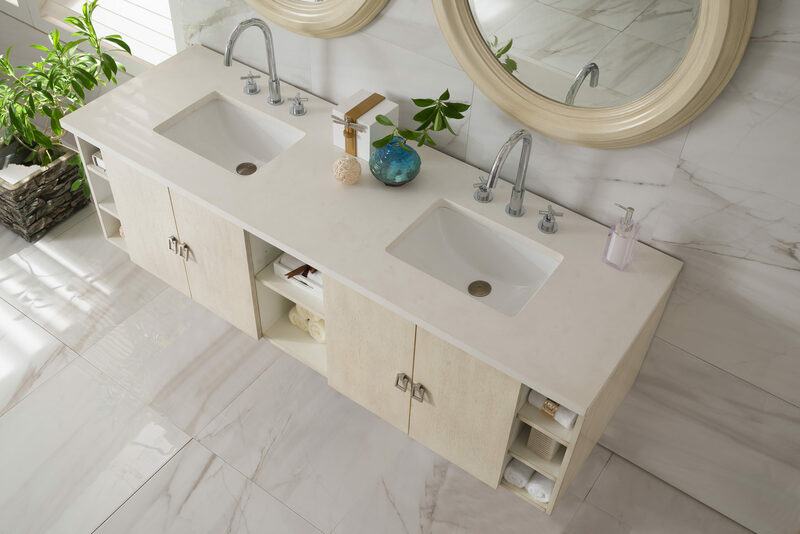 The Sonoma 72″ Double Vanity, Vanilla Oak features soft close hinges on doors, with under-mount soft close slides on drawers and satin nickel hardware. 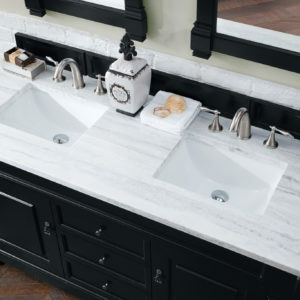 This “floating vanity” comes with heavy duty wall mounting brackets to create a modern look. 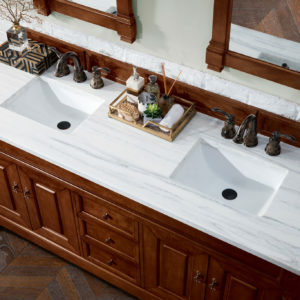 Quartz tops have low porosity that keeps away bacteria, makes it easy to clean and beautifully consistent. Modern Minimalism. The Sonoma by James Martin is one our “floating” series of cabinets. 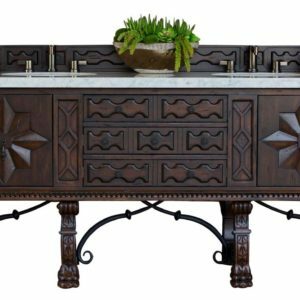 These modern, wall hung cabinets, crafted from kiln-dried White Oak veneers and Birch hardwoods are offered in light and dark, wire-brushed finishes. Choose from the lighter Vanilla Oak or the the darker Coffee Oak. Designed for larger spaces, the cabinets are offered in 48, 60 and 72 inch widths. Any of James Martin’s optional countertops will work with the Sonoma series. Heavy-duty brackets for wall mounting are included with the cabinet. 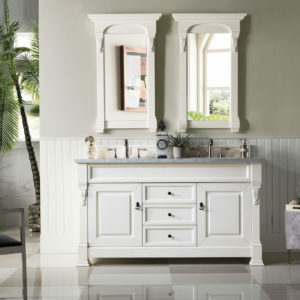 You may view our instructional videos for installation at www.JamesMartinVanities.com Round mirrors with coordinating finishes are also available.